For subscribers and other readers who are wondering what Poetry Flash is doing these days, or who don't know the range of our programs, please read this recent update. And if you are in the Bay Area and like "old stuff," come by Poetry Flash on May 16 for our benefit sale of donated items. As Robert Creeley used to say, Onward! What's up with Poetry Flash? Many have asked, what's up with Poetry Flash? And the answer is immense. Everything is up with Poetry Flash. For the last two years, we have faced changes and challenges of every kind. And now, the economic climate has slowed us. But slowed is not the same as stopped. We are moving, with imagination and innovation, into the future. We have hope and possibility. Our mission is to build community through literature, to make literary activity as accessible as possible. 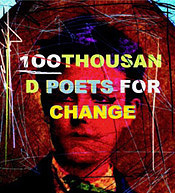 Since 1972, Poetry Flash accomplished that by publishing a review and literary calendar. But now, given what all of us face, culturally, technically, and economically, it's time for a change. As that innovative thinker Buckminster Fuller said, "In order to change an existing paradigm, you do not struggle to try and change the problematic model. You create new model, and make the old one obsolete." We are introducing a new look for Poetry Flash, which will debut this spring, featuring longer reviews, interviews, articles, photos, poems, news and selected event highlights. It will continue to be distributed free (unless mailed by subscription), and it will continue to explore contemporary poetics and creative writing. We have been holding back on this announcement—and on asking for your support—until you could have it in your hands. Unfortunately, delays due to the economy and several notable computer crashes changed that plan. But now, change is here. It's time to show off the "new model, and make the old one obsolete." The comprehensive Poetry Flash literary calendar for California and the West is now published at PoetryFlash.org. Updated on a daily basis, new online features are being added daily. We have embarked on a web site design revolution that includes Calls for Submissions, shorter reviews written just for our web site, and featured poems, along with expanded print archives and index. We are also carrying our mission forward by presenting our nationally recognized reading series, which has continued for over three decades, at Moe's Books in Berkeley, and Diesel, A Bookstore, in Oakland, hosting almost fifty readings each year with these new partners. 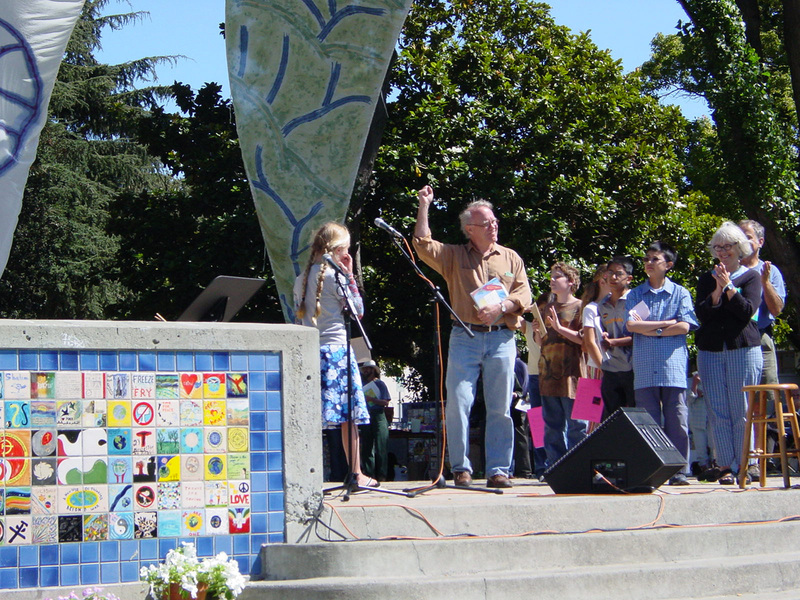 Our free, annual Watershed Environmental Poetry Festival will be presented September 26, 2009, in Berkeley's Civic Center Park. And we are excited to announce the 28th Annual Northern California Book Awards, at the San Francisco Main Library on April 19. Our production of these awards and the Fred Cody Award for Lifetime Achievement are a lot of work, but we believe that by sponsoring these awards and celebrating (and recommending) these books and authors, we are bringing another spark of imagination to our shared culture and home. And if we don't step up to support and celebrate the imagination, who will? Please join us in making this exciting transition by sending a check today, or click on Donate from the home page (on this web site). P.S. We are having a benefit "Old stuff" Sale, lots of donated old stuff and vintage items, May 16, 2009, 9am-4pm, at Poetry Flash, 1450 Fourth Street #4, Berkeley, CA 94710 (between Cedar and Gilman in west Berkeley).